Polymer clay accessorize, cute miniature food & sweets. 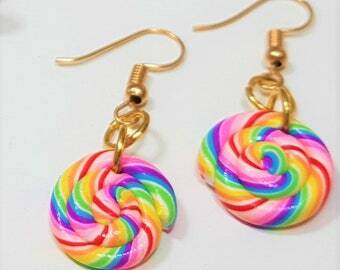 Announcement Hello and welcome to my polymer clay Shop. All the items were hand-made by me. Questions, requests or special orders - please contact me by email. All my items are shipped by registered air mail. For upgrading the shipping please let me know. Hello and welcome to my polymer clay Shop. polymer clay orange and lemon bracelet,hand made colorful bracelet, women's bracelet. Package arrived safely this morning. Love the bracelet! !